Does Barley Grass Help Prevent Cancer? The discovery of X-rays represents one of the most significant accomplishments in medical history. Though the shades of white, gray and black on an X-ray film may not indicate much to the untrained eye, to trained and experienced professionals, they reveal a multitude of information about internal anatomical structures. X-rays work because the body’s tissues have different densities. Dense structures, such as bones, absorb radiation rather than allow it to pass through. They appear white on the film. Since soft tissues are less dense, fewer X-rays are absorbed, more penetrate the tissues and structures appear gray. 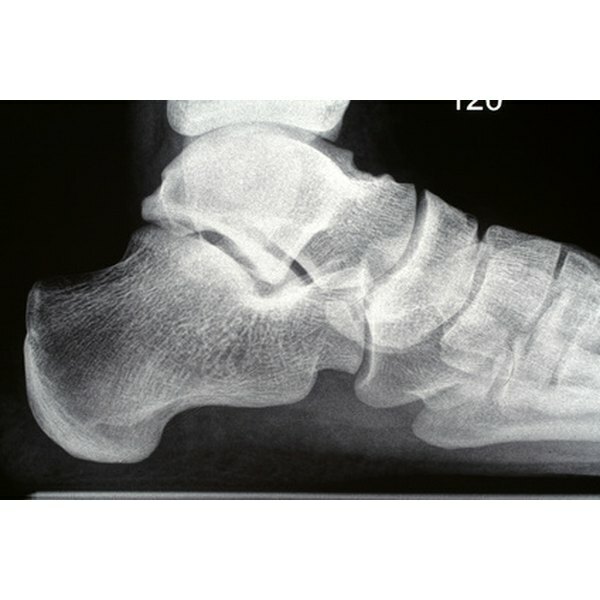 X-rays readily penetrate air, which appears black on radiographs. What is a Pelvic Phlebolith? What Is SUV on a PET Scan? What are the Side Effects of Mercury Fillings?